You know how chickens can live without their heads? Same thing with orcs, apparently. The "best" part about this video by ishavemyhole is that you can see down the inside of the orc's neck while he speaks. Gross. It's like the orc knows what happened and is yelling at its own body to die. Woah. I just wish that these folks would let the orc live, just to see if it would reappear later on headless, too—because that would be amazing. 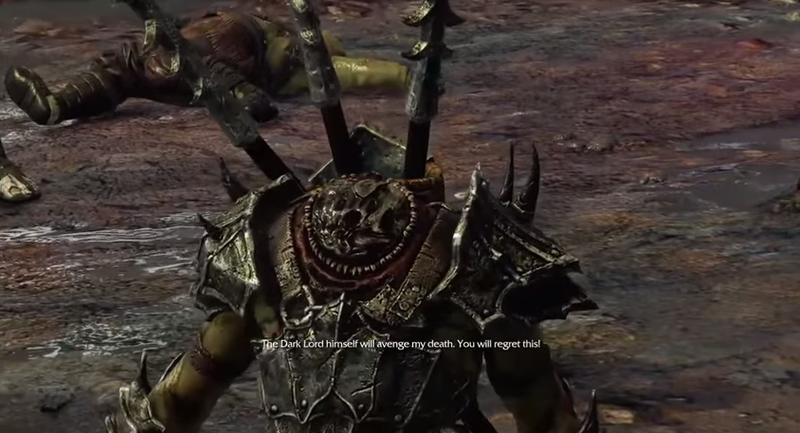 You can check out other hilarious Shadow of Mordor glitches here.